The Latina Book Club is Celebrating Men this month, and what better way to start than with a wonderful book by a talented and amazing author, teacher and father. Happy Reading, and as always, Read Latino. –E.R. Frank, author of LIFE IS FUNNY and AMERICA, which inspired the Lifetime Movie. Torrey Maldonado has written a powerful, emotional, riveting novel about friendship, trust, hard choices and becoming a man. It’s the story of two 13-year olds best friends– Justin and Sean – living and surviving the dangerous Red Hook Housing projects. The friends are so much alike – half Puerto Rican, half Black, and no fathers – that they refer to themselves as twins. But lately Sean has been different, secretive, and he and his mom disappear on Saturdays. So what is a best friend to do but find out why? Read excerpt, by clicking here. AUTHOR CAMEO: Torrey is a TEACHER and AUTHOR, who was born and raised in the Red Hook projects section of Brooklyn, New York. Overcoming his neighborhood's poverty and violence, he went on to get a BA in Sociology from Vassar College and a Master's Degree in Educational Administration from Baruch College. For nearly ten years, he has taught in the New York City public school system. Before that, he trained teachers and administrators to run conflict resolution programs. SECRET SATURDAYS is inspired by his experiences with youth, city schools, fatherlessness, and poverty. 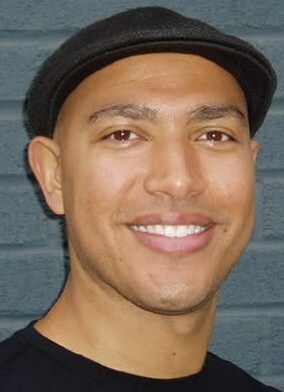 To learn more about this fascinating author and teacher, visit Torrey at http://www.torreymaldonado.com/.